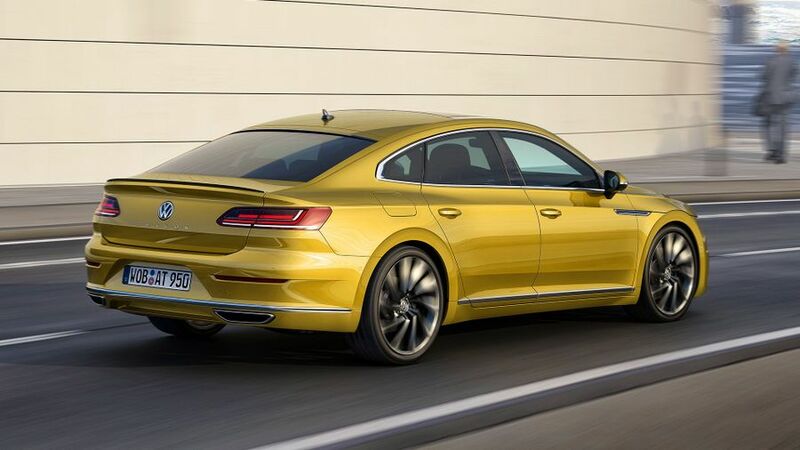 This is the brand new Volkswagen Arteon, a four-door ‘fastback’ that will be seen in the flesh for the first time at the Geneva Motor Show this week. 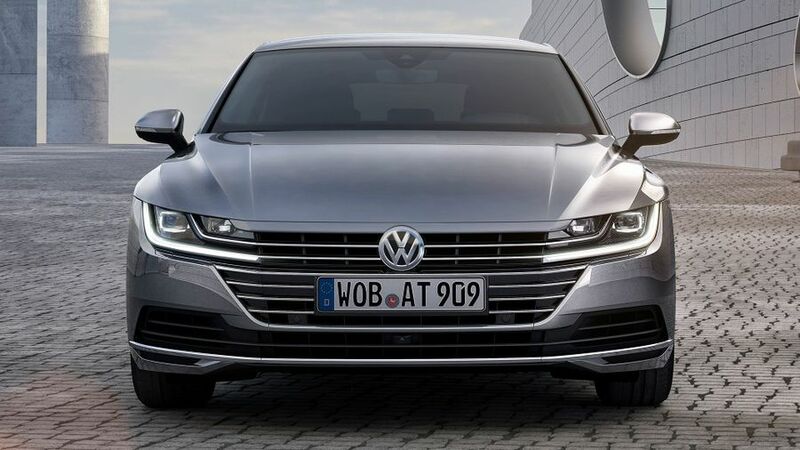 It will be flagship model in the Volkswagen range, larger and more expensive than the Passat, whose basic platform it shares. As such, it effectively replaces the old CC (which was originally called the Passat CC), and it stands out from the current Passat by being a little longer and not quite as high. The design of the Arteon will also set it apart, not least because of the new front end. This incorporates a full-width radiator grille, with chrome-plated crossbars, that appear to blend into the LED headlights and daytime running lights, which are fitted as standard. In profile, you can see elements of sportscar design, such as the flared wheelarches, as well as the coupe-like rear end that makes the car much more sleek than the Passat. The interior’s basic design shares some elements with the Passat, not least the way that the air vents seem to extend across the full width of the cabin. And, below that is an ambient lighting strip that continues into the doors. The new car is a five-seater, with what Volkswagen claims is class-leading rear legroom; and, although that rakish shape does mean the boot is a little smaller than the Passat’s, it still takes an impressive 563 litres. The end result is that Volkswagen calls this new model a GT (Gran Turismo), combining some sportscar-like aspects with everyday usability. Volkswagen is also proud of the technology on-board, with the latest in connectivity and driver-assistance systems available. Among the options will be fully digital instruments, a head-up display and a 9.2-inch glass screen that incorporates ‘gesture control’, which allows the driver to control the infotainment system with a wave of their hand. Buyers will also be able to choose from six different engines, split equally between petrol and diesel units. All are turbocharged four-cylinder engines, with power outputs between 148- and 276bhp; and not only is there a choice of front- and four-wheel drive models, buyer can also specify both manual and semi-automatic gearboxes. Precise details of the models to be sold in the UK are yet to be confirmed, but VW has said that there will be three trim levels. Beyond the ‘base’ model will be ‘Elegance’ and ‘R-Line’ models, with the former concentrating on quality and class, while R-Line gives the car a sport makeover. 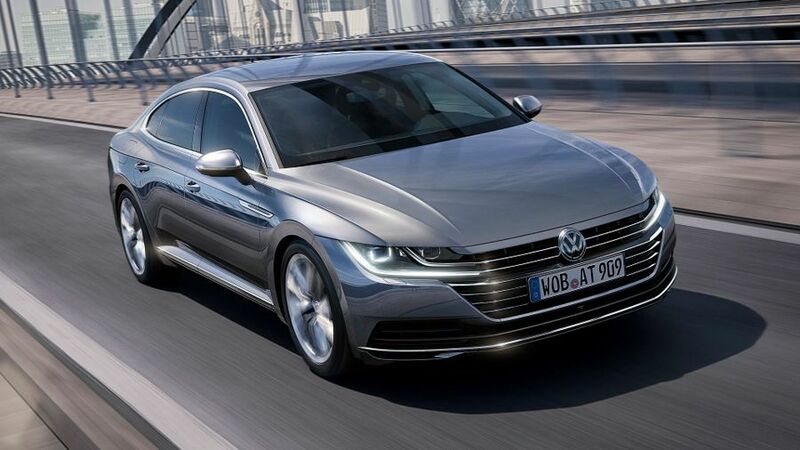 Likewise, we don’t know exactly when the car will go on sale, but as the Arteon will go on sale in Germany in June, we expect it see in VW showrooms in this country within a few months. Prices will be announced nearer the time, but we expect that each Arteon will cost a few thousand more than the equivalent Passat. However, it should be less than similar cars, such as the BMW 4 Series Gran Coupe and Audi A5 Sportback.